Geoptis, a subsidiary of La Poste, has won [R]Challenge, a call for projects launched by the Lyon Metropolitan Area. A number of La Poste vehicles used in the Lyon area will be equipped with environmental sensors to measure air quality, street by street. 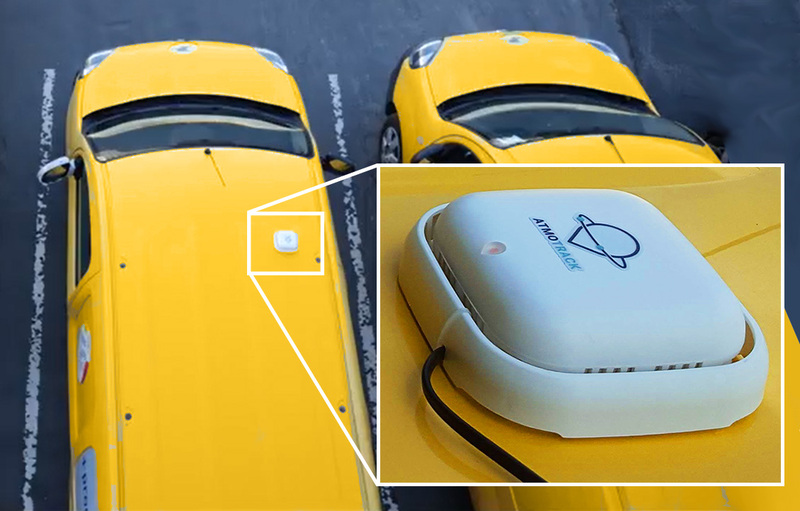 The pollutant measurement sensors installed on La Poste vehicles were developed by AtmoTrack. In March 2018, Geoptis answered a call for projects launched by the Lyon Metropolitan Area as part of the Oxygène plan, in partnership with Atmo Auvergne-Rhône-Alpes (the regional air quality observatory) and the Caisse des Dépôts. Following the selection procedure, the subsidiary of La Poste was tasked with conducting a trial in the Lyon area. The expertise and data provided by Atmo AuRA, combined with those of Geoptis and AtmoTrack, will provide a basis on which to fine-tune the system and establish the most pertinent form of organisation. “Geoptis is cooperating closely with the Lyon Metropolitan Area and Atmo AuRA. [R]Challenge is a great opportunity to demonstrate proof of concept and to set out in detail the economic requirements for making this service available to all local authorities. Atmo AuRA is supporting us in developing our methodology and establishing the right conditions for the validity, analysis and use of measurements. The commitment of the Lyon Metropolitan Area and its partners is a real advantage. Many local authorities would like to have more information on pollution peaks in their area. It’s up to us to bring them the right service!” concludes Jean-Baptiste Drechsler. Atmo AuRA is part of an active experimental approach that seeks to use innovation and new digital services to raise public awareness and improve air quality. Managing and maintaining the urban heritage more effectively is a challenge for local authorities. By installing cameras onboard postal delivery vehicles, Geoptis is using France’s biggest local network to establish a complete and precise audit of the state of the roads based on methods developed by France’s specialist research entity, LCPC. Damage reports are analysed by teams specially trained in road damage and by road engineers. This provides local authorities with a complete map showing the state of local roads. They can also request recommendations on road works, in order to rank actions by order of priority and to optimise maintenance budgets. To support local authorities in implementing the simplified road map (PCRS), Geoptis can also provide high-precision topographical surveys. Karine Dognin-Sauze, Vice-President of the Lyon Metropolitan Area with responsibility for Innovation, the Smart City, Digital Development and Intelligent Mobility, explains why Lyon chose Geoptis: “This call for projects is linked to the Oxygène plan and its strategic framework. Aimed at improving air quality, the plan was set up by the Lyon Metropolitan Area in June 2016. In January 2018, the Metropolitan Area launched a call for experimental projects. The aim was to identify prototype projects addressing local issues, and ready to demonstrate proof of concept through trials. Mobile micro-sensors can restore highly precise, real-time data on air quality. Geoptis submitted one of the five projects selected out of 29 applications. We measured the maturity of the project submitted by Geoptis, the pertinence of the solution and the potential technical viability. The first experimental phase at a pilot site is currently at the start-up stage. The results will be available in spring 2019”.